143. Agnes CAWOOD b. 21 Aug 1871, m. George Henry Eastland COLLEN, b. 5 Jun 1867, d. 1943. Agnes died after 1943.
iv. Mary Barbara COLLEN m. Allen YOUNG. 144. George CAWOOD b. 16 Sep 1873, bap. 13 Feb 1874, Hopetown, m. Jessie COLLEN. i. Kathleen CAWOOD m. William BECKWITH. 145. Ralph David CAWOOD b. 27 Apr 1875, Hopetown, m. 30 Oct 1912, Magdalena Maria MAREE, b. 19 Apr 1888, Griekwasrad, d. 15 Jun 1968. Ralph died 14 Apr 1921.
i. Amy Myra CAWOOD b. 19 Jan 1914.
ii. Gertrude Dorothy CAWOOD b. 31 Oct 1915.
iii. Stillwell Rupert CAWOOD b. 24 Feb 1917.
iv. Irene Hazel CAWOOD b. 20 Nov 1918, District Herbert, m. (1) 5 Jun 1945, Cornelis F VAN HEERDEN, b. 2 Jun 1897, Britz Town, d. 1 Oct 1972, m. (2) Thomas William PAVIER, b. Pretoria, d. 11 Oct 1981.
v. Magdalena Maria CAWOOD b. 4 Apr 1920. 146. Allen Allicock CAWOOD b. 11 Dec 1876, m. Mary Baru COLLEN, b. 18 Jan 1882.
i. Mary Barbara CAWOOD m. Edward William CAWOOD, (son of Ralph Percy CAWOOD and Catharina Maria VAN RENSBURG). iv. Cecil CAWOOD m. Wendy -----. 147. Harriet Georgina CAWOOD b. 12 Nov 1880, m. George SAPSFORD, d. after 1944. Harriet died 1944.
ii. Harriet SAPSFORD m. Crawford RUSSELL. 148. Charles CAWOOD b. 9 Jul 1884, m. Hester Helena VERTUE. iii. May CAWOOD m. Douglas NANCARROW. 149. Alice Dove CAWOOD b. 25 Apr 1892, m. Reuben Trowbridge COLLEN. iii. Cyril Leonard COLLEN m. Rina GOUWS. 150. Thomas Henry CAWOOD b. 6 Nov 1855, Port Elizabeth, Cape, bap. 24 Dec 1855, Port Elizabeth, m. Cornelia MILLER, d. 1936. Thomas died 18 Oct 1946.
i. John Lawrence ("Jock") CAWOOD b. 18 Mar 1884.
vi. Theresa May CAWOOD b. Uitenhage, m. Raymond Krebs DU TOIT. Theresa died 1969.
vii. Jean CAWOOD m. ----- MEAKER. 151. Mary Caroline CAWOOD b. 26 May 1857, Port Elizabeth, Cape, bap. 10 Jun 1857, Port Elizabeth, m. c1879, in Cape, South Africa, Alfred Ernest NOTHARD b. c1853, Port Elizabeth. Marh died before 1900, Farm Hardwood, near Klipplaat, buried: Farm Hardwood, near Klipplaat. iv. Wesley NOTHARD m. ----- PYOTT. viii. Catherine NOTHARD m. Arthur NIEL. 152. Joshua John CAWOOD b. 5 Dec 1858, Aberdeen, Cape Province, bap. 2 Jan 1859, Port Elizabeth, m. Sarah ("Sally") MANLEY, b. 17 Jul 1861, (daughter of Robert Cope MANLEY and Agnes KELBRICK) d. 12 Mar 1944, buried: Mount Stewart. Joshua died 1942, buried: Mount Stewart. i. Ralph Clifford CAWOOD b. 1892.
ii. Charles ("Charlie") CAWOOD b. 1893.
iii. Leslie CAWOOD b. 1895.
iv. ----- CAWOOD buried: Minnawill. v. Cope CAWOOD buried: Swartrivier Drift, near Oatlands. vi. Manley CAWOOD buried: Swartrivier Drift, near Oatlands. 153. Kate CAWOOD b. 4 Nov 1860, Port Elizabeth, bap. 23 Dec 1861, Port Elizabeth, m. c1882, in Cape, South Africa, John Arthur FITZHENRY, b. 3 Dec 1857, d. 15 May 1937, buried: Mount Stewart. Kate died 23 Jun 1893, Jansenville, Cape, buried: Mount Stewart. ii. Sidney Cawood FITZHENRY b. 22 Oct 1891.
vi. Douglas FITZHENRY buried: Karroovlakte. 154. Caroline Maria CAWOOD b. 7 Feb 1863, Graaff Reinet, Cape, bap. 23 Jun 1864, Uitenhage, Cape, m. 19 Jun 1885, in Mount Stewart, Frederick James PARKIN, b. 8 Feb 1855, Port Elizabeth, (son of Cradock PARKIN and Elizabeth ADAMS) d. 16 Oct 1934, Port Elizabeth. Caroline died 18 Jul 1947, Port Elizabeth. i. Ilma Maude PARKIN b. 8 Apr 1887.
ii. Neville Edwin PARKIN b. 27 Oct 1888.
iii. Cawood Aubrey PARKIN b. 28 Feb 1891, d. 16 Jun 1893, buried: Mount Stewart. iv. Poyntz Ivo PARKIN b. 21 Jan 1893.
v. Aletta ("Letty") PARKIN b. 21 Sep 1895, Jakhalslaagte, Cape, m. 22 Sep 1928, in Johannesburg, Transvaal, Henry NIELSON. Aletta died 8 May 1946, Johannesburg. vi. John Cradock PARKIN b. 16 Apr 1897, Mount Stewart, d. 13 Aug 1913, Uitenhage, buried: Mount Stewart. vii. Gordon Gerald PARKIN b. 11 Jul 1898.
viii. Denton Redvers PARKIN b. 26 Feb 1900.
ix. Dorothy Mary PARKIN b. 4 Mar 1901.
x. Patricia Cawood PARKIN b. 8 Feb 1903, Mount Stewart. 155. Letitia Anna CAWOOD b. 23 Mar 1865, m. 6 Mar 1885, James PATERSON, b. 14 Sep 1859, d. 9 Jun 1923. Letitia died 12 Oct 1940, buried: Mount Stewart. ii. Annie PATERSON b. 6 Oct 1888.
iii. Cathrine ("Katy") PATERSON b. 14 Jan 1889.
iv. William PATERSON b. 19 Sep 1889, m. Letty LONG. v. Maud PATERSON b. 9 Oct 1892.
vi. John PATERSON b. 4 May 1898.
vii. Douglas PATERSON b. 6 Jan 1902.
viii. Stella PATERSON b. 25 May 1904.
ix. Donald PATERSON 19 Dec 1906. 156. John Peter CAWOOD b. 11 Feb 1867, m. Emily Elizabeth KELBRICK, b. 25 Jun 1873, d. 16 Nov 1958, Uitenhage. John died 10 Sep 1958, Uitenhage. ii. Gwendoline CAWOOD b. 7 Feb 1908, m. (1) W D CAMPBELL, m. (2) W DOUBELL. Gwendoline died 18 Nov 1960.
iii. Eileen Mary CAWOOD b. 19 Aug 1911.
v. Edith Emily CAWOOD b. 14 Feb 1914, m. John STEENKAMP. 157. Amelia ("Amy") CAWOOD b. 8 May 1869, Cape, South Africa, m. c1891, in Cape, South Africa, John Henry FEATHERSTONE b. c1865, Cape, South Africa. Amelia died 13 Sep 1948, buried: Kareebosch Cemetery, Aberdeen District. 158. Charles Dombey CAWOOD b. 27 May 1872, Mount Stewart, Cape, bap. 12 Dec 1879, Uitenhage, Cape, m. 25 Sep 1902, in Lochdale, Jensenville, Cape, Janey Roberts HOBSON, b. 2 Jun 1883, d. 26 Apr 1956, Uitenhage, buried: Mount Stewart. Charles died 22 Dec 1934, buried: Mount Stewart. i. Cecil Dombey CAWOOD b. 13 Jul 1903.
ii. William Arthur ("Bill") CAWOOD b. c1907. v. Carey Hobson CAWOOD b. 28 Dec 1920. 159. Emily Ellen CAWOOD b. 9 Dec 1874, Mount Stewart, Cape, bap. 12 Dec 1879, Uitenhage, Cape, m. 31 Oct 1894, in Mount Stewart, Percival Cumberland GARDINER, b. c1870, Mount Stewart. i. Ian GARDINER d. 1983, Port Elizabeth. ii. Lionel Cawood GARDINER b. 1898. 160. William George ("Willie") CAWOOD b. 10 Oct 1879, Mount Stewart, bap. 12 Dec 1879, Uitenhage, m. (1) Sarah Maria ("Minnie") HOBSON, b. 7 Mar 1878, Grahamstown, (daughter of William Carey HOBSON and Nancy Anne COOPER) d. 31 May 1920, m. (2) Eugenie Caroline DANIELL, b. 28 Dec 1887, (daughter of Ambrose George DANIELL and Caroline Glover BERRINGTON) d. 1974. William died 21 Jul 1935, Minnawill Farm, Steytlerville District, buried: Mount Stewart. i. Doris Minnie CAWOOD b. 19 Mar 1901.
ii. Gladys Elizabeth CAWOOD b. 2 Mar 1903.
iii. Enid Alethea CAWOOD b. 29 Mar 1907.
iv. Ernest William Dombey CAWOOD b. 24 Nov 1909.
v. Yvonne Eugenie CAWOOD b. 7 May 1923.
vi. Winston George ("Bob") CAWOOD b. 31 Jan 1926. 161. Harold Alfred CAWOOD b. c1871, Cape, South Africa, m. Margaret SMIT. 162. Agnes Mary CAWOOD b. c1873, Cape, South Africa, m. James ("Jim") FLEISCHER. 163. Ralph Benjamin Brian CAWOOD b. c1875, Cape, South Africa, m. 1908, Johanna Catherine SCHOOMBY d. 1964. Ralph died 1960. 164. Philip Arnold CAWOOD b. c1879, Cape, South Africa, m. (1) Rachel BESTER, m. (2) Ann BESTER. 165. Sarah Cornelia ("Sally") CAWOOD b. c1883, m. Arthur Alfred YORKE b. London, d. 1965. Sarah died after 1965. 166. Martin David CAWOOD b. 1886, m. Ellen McKIVETT. Martin died 1950. 167. Harriet Martha ("Molly") CAWOOD b. c1887, Cape, South Africa, m. Wilfred COX. 168. Edward John HULLEY b. 1846, m. 27 Nov 1878, in Clumber, Lydia Ann RICHARDSON, b. 1856, d. 17 Jun 1945. Edward died 8 Jun 1903, Orange Grove Farm. i. Horace Evelyn HULLEY b. 18 Dec 1879.
ii. David Melverton HULLEY b. 1881, d. 22 Apr 1911.
iii. Verna May HULLEY b. 10 May 1883.
iv. Victor Edward HULLEY b. 1885, d. 15 Feb 1949.
v. Stella HULLEY b. 1887, m. Gordon Sprigg TIMM. Stella died 25 Aug 1947.
vi. Evelina HULLEY b. 19 Apr 1890, m. Enos Rio TIMM, b. 17 Apr 1871, d. 11 Sep 1931. Evelina died 7 Dec 1965.
vii. Blanche HULLEY b. 2 Mar 1892.
viii. John Richardson HULLEY b. 15 Jul 1895. 169. William Gradwell HULLEY b. 1848, m. 22 Jul 1874, in Fort Peddie, Rebecca Ann RANDALL, b. 1851, (daughter of John RANDALL and Elizabeth FLANEGAN) d. 30 Jan 1894. William died 28 Jul 1918, Highlands, Senekal. i. Mary Elizabeth HULLEY b. 1875, m. (1) Willie CLIFFORD, m. (2) Arthur RAINIER. Mary died 1918.
ii. John Edward HULLEY b. 1877.
iii. Alice Maud HULLEY b. 1879.
iv. William Thomas HULLEY b. 1882.
v. Percival Warren HULLEY b. 1886.
vi. Rachel Irene HULLEY b. 18 Oct 1888.
vii. Claude Douglas HULLEY b. 14 Sep 1891.
viii. Richard Alma HULLEY b. 1894. 170. Richard Anthony HULLEY b. 1850, m. 17 Nov 1880, in Grahamstown, Elizabeth Charlotte WEBSTER, b. 1858, (daughter of Henry WEBSTER) d. 5 Jun 1901, Thornton, Rhodesia. Richard died 10 Apr 1918.
i. Zillah HULLEY b. 1882.
ii. Mary Jane HULLEY b. 1883, d. 8 Jul 1900.
iii. Percy HULLEY b. 1884.
iv. Clement Richard HULLEY b. 1887.
v. Evelyn May HULLEY b. 18 Apr 1891.
vi. Charlotte Rhodesia ("Rhoda") HULLEY b. 1896.
vii. Annie Cawood HULLEY b. 1899.
viii. Jessie HULLEY b. 22 May 1901, d. 6 Jul 1901. 172. Mary Betty ("Polly") HULLEY b. 1854, m. 9 Aug 1879, in Cradock, Samuel Isaac HULLEY, b. 1851, (son of Joseph HULLEY and Mary JACKSON) d. 27 Sep 1928. Mary died after 1928.
i. Ula Mary HULLEY b. Jul 1882, Cape, m. William Edward CAWOOD, (son of James Smith CAWOOD and Ann Moriah HULLEY) d. Jan 1946, Middelburg, Transvaal. Ula died 1951, Pretoria. iv. Patrick Brangan HULLEY b. 1888, d. 4 Aug 1929.
v. Fergus Brian HULLEY b. 16 Dec 1890, d. 6 Sep 1893.
vi. Donald MacGregor HULLEY b. 1893, m. Jacoba Johanna BARTLETT b. 1890, d. 2 Jan 1927. Donald died 23 Jan 1948. 173. David Edward HULLEY b. 1858, m. in Fort Peddie, Amelia Elizabeth HILL, d. after 1907. David died 24 Sep 1907.
i. Alton Hill HULLEY b. 1887.
ii. Vivian John HULLEY b. 1890.
iii. David Lyle ("Sonnie") HULLEY b. 23 Dec 1893, d. 4 Mar 1975. 174. Thomas Benjamin HULLEY b. 15 Jun 1860, m. 13 Oct 1886, in Maclear, Georgina Marian Johanna COLEMAN, b. 17 Oct 1867, Carnavon, Queenstown, d. 1 May 1948. Thomas died 28 Jul 1929.
i. Kathleen HULLEY b. 13 Oct 1887, d. 28 Dec 1888.
ii. Francis Edward HULLEY b. 8 Nov 1888.
iii. Cecil Malcolm HULLEY b. 25 Dec 1891.
iv. Eric HULLEY b. 12 Sep 1899.
v. Thomas Coleman HULLEY b. 8 Apr 1901. 175. Walter RIDGARD b. 26 Oct 1877, Du Toitspan, Kimberley, Cape, m. 22 Nov 1898, in Longlands, Barkly West, Cape, Maria Johanna SCHULTZ, b. 5 Mar 1877, d. 7 Sep 1959, buried: Howick. Walter died 22 Nov 1921, Stone Hill, Barkly West, Cape. i. Mary Elizabeth RIDGARD, b. 8 Oct 1899, Longlands, Barkly West, Cape, m. 11 May 1920, J KOLVER. Mary died 27 Jul 1995.
ii. Mabel Frances RIDGARD b. 15 May 1901, Longlands, Barkly West, Cape, m. 26 Jun 1928, J BARNARD. Mabel died 1973, Worcester, Cape. iii. Ellen Leonora RIDGARD b. 28 Nov 1902, Longlands, Barkly West, Cape, m. L D VAN SCHALKWYK. Ellen died 1985, Johannesburg, Transvaal. iv. Thomas William RIDGARD b. 26 Oct 1904, Grootkop, Windsorton, Cape, m. Lenie BEHRENS. Thomas died 2 Feb 1973, East London, Cape. v. Hester RIDGARD b. 19 Aug 1906, Longlands, Barkly West, Cape, m. J GERBER. Hester died 1975, Durban, Natal. vi. Violet RIDGARD b. 29 Aug 1908.
vii. Daisy RIDGARD b. 31 Jul 1910, Good Hope, Barkly West, Cape, m. 1933, J BOOYENS. viii. Ivy RIDGARD b. 26 Jul 1912, Good Hope, Barkly West, Cape, m. 2 Oct 1935, M J CLARKE. Ivy died 1 Nov 1964, Pretoria, Transvaal. ix. Dorothy RIDGARD b. 10 Jun 1914, Good Hope, Barkly West, Cape, m. N SCHOLTZ. Dorothy died 1975.
x. Ethel RIDGARD b. 31 May 1916, Good Hope, Barkly West, Cape, d. Bakerville, Transvaal. xi. Olive Mona RIDGARD b. 22Oct 1918, Good Hope, Barkly West, Cape, m. J ALEXANDER. Olive died 19 Oct 1979, Pietermaritzburg, Natal. 176. William Kidger TUCKER m. 1881, in Kimberley, Sarah Agnes BOTTOMLEY, b. Congella, Natal, (daughter of George BOTTOMLEY and Hannah -----). ii. Eric Francis Kidger TUCKER b. c1885. 177. John Edwin Kidger TUCKER m. 1881, Harriet Emma GOULDING. i. Rupert Kidger TUCKER b. 26 Nov 1882, Du Toitspan, Kimberley, Cape. ii. Roland Kidger TUCKER b. 21 Apr 1884, Du Toitspan, Kimberley, Cape. iii. Clarissa Mary Kidger TUCKER b. 25 Mar 1886, Kimberley, Cape of Good Hope. iv. Gilbert Kidger TUCKER b. 19 Sep 1887, Kimberley, Cape of Good Hope, m. 1913, Ellen MITCHEL. 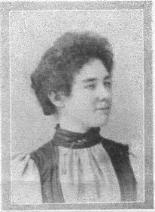 v. Eleanor Kidger TUCKER b. 11 Aug 1890, Johannesburg, Transvaal. 178. Edgar KING m. Aileen -----. 179. Amy CAWOOD b. 19 Aug 1868, m. (1) c1900, Alfred Leo WHITFIELD, (see marriage to number 97), m. (2) Robert Albert HOAR, b. 19 Feb, occupation Farmer, d. 1938, buried: Kroonstad. Amy died 5 Apr 1946. 180. John Samuel CAWOOD b. 8 Jan 1878, m. (1) divorced 1935, Ada Maria CLAYTON, (see marriage to number 131), m. (2) G ROE. John died 17 Dec 1955. 181. Richard CAWOOD b. 24 Apr 1880, m. (1) C KRITZINGER, m. (2) M VAN DER WATH. Richard died 5 Oct 1972.
i. Wilfred Samuel CAWOOD b. Aug 1908.
ii. Albert Herman CAWOOD b. Jun 1911.
iii. Joseph Bromley CAWOOD b. 1 Aug 1914.
iv. Frances Catherine CAWOOD b. 20 Sep 1916.
v. Richard William CAWOOD b. 8 Jun 1918.
vi. Lionel Vincent CAWOOD b. 22 Nov 1921. 182. Cecil Gordon CAWOOD b. 13 Mar 1885, m. 14 Jan 1913, C J C LEMMER, b. 11 Nov 1891, d. 4 Apr 1941. Cecil died 8 Oct 1933.
i. Sidney Barrett CAWOOD b. 31 Jan 1914.
ii. Thelma Joyce CAWOOD b. 2 May 1915.
iii. Colin Howick CAWOOD b. 1 Aug 1918.
iv. John Lemmer CAWOOD b. 9 Mar 1921.
v. David CAWOOD b. 27 Dec 1928. 183. Winifred NELSON m. ----- CONNACK. 184. Beatrix NELSON m. ----- HAIGH. i. Richard HAIGH b. Johannesburg. ii. Lillian HAIGH b. Port Elizabeth. iii. Gladys HAIGH b. Port Elizabeth. 185. George Cawood NELSON m. (1) Myrtle WARD, m. (2) Winifred HUBBARD. George died Port Alfred, buried: Settlers Cemetery, Port Alfred. 186. Ethel Chard NELSON m. (1) ----- HANCOX, m. (2) ----- WRIGHTMAN. i. Harold HANCOX m. in Johannesburg, Dorothy GIBBEN. ii. Mary HANCOX m. in Port Elizabeth, ----- HULL. 188. Irene Benetta KELBRICK m. Edward Owen ("Jack") HISCOCK. ii. Valerie Violet HISCOCK m. Gert van der Merwe VAN WYK. 189. Charles Stephen KELBRICK b. 21 Sep 1877, m. Anna Magrietha SMUTS, b. 7 Jun 1877. Charles died De Pan, Carletonville District. i. Lidwell Robert Albert KELBRICK b. 7 Mar 1900.
ii. Mary Cawood KELBRICK b. 28 Feb 1901, m. Johannes Paulus STEENKAMP, d. 1968. Mary died after 1968.
iii. Charles Arnim Archibald KELBRICK b. 12 May 1903.
iv. Beltram Sidney KELBRICK b. 17 Dec 1904.
v. Rudly Cecil KELBRICK b. 29 Nov 1908.
vi. Cornelius Peirieut KELBRICK b. 19 Nov 1913.
vii. Joseph Benjamin KELBRICK B. 25 Jul 1916.
viii. Cornelius Kayser KELBRICK b. 12 Aug 1919. And here comes to an end a labour of love, and a tribute to my Cawood ancestors, known and unknown. With the next generation we trespass more into the land of the living, and our incursion may not always be welcome. Another factor which makes it expedient to draw the line here is the sheer volume of work involved. The seventh generation takes up very nearly as much space as the first six generations put together, and the prospect of putting this on screen, using the rather cumbersome method I have chosen to use, is daunting indeed. And does anybody ever look at the site? Judging by the response I have received, very few indeed. If anyone does chance upon this site who has an interest in this or related families, including more recent generations, please contact me: I would be very happy to hear from you. Click here to send me an e-mail. Best wishes, and take care! As is always the case in using this wonderful research tool, the Internet, I have received very generous help and much knowledge from fellow researchers all over the world. There are far too many to mention, and they know who they are, so my grateful thanks to them. It would, however, be remiss not to mention in particular three people who have been particularly helpful: Betty Murray, John Perfect, and Nic Wilson. This file would be nowhere near as detailed or (I hope) helpful without their contributions and readiness freely to share the results of their hard work and persistence. Thankyou.